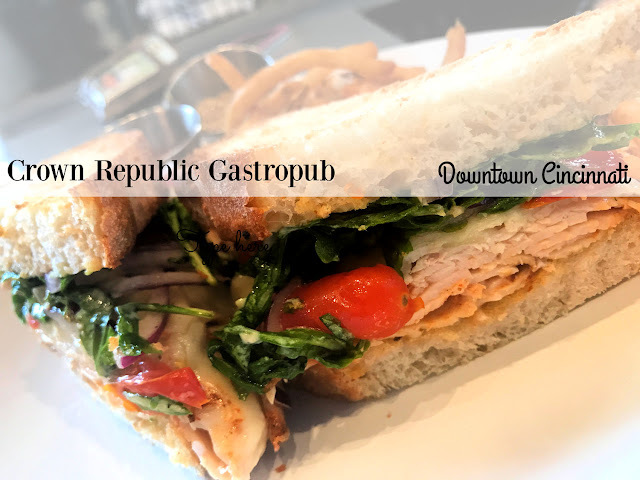 What to get at Crown Republic Gastropub | The Food Hussy! In my never ending quest for more interesting lunches in downtown Cincinnati we recently visited a newer place, Crown Republic Gastropub. How did it turn out? Well, I have now found my FAVORITE pasta dish in all of Cincinnati!!! Started by a married couple with a lot of culinary experience and a heavy Italian background, Crown Republic prides themselves on everything being made from scratch. The menu has a great variety including breakfast items - and they have fresh pastries as well. Crown Republic is located on the corner of 7th & Sycamore in a fairly new building downtown. Lucky for me - it's super convenient for where I'm located! It's just a short walk - anybody else work downtown? 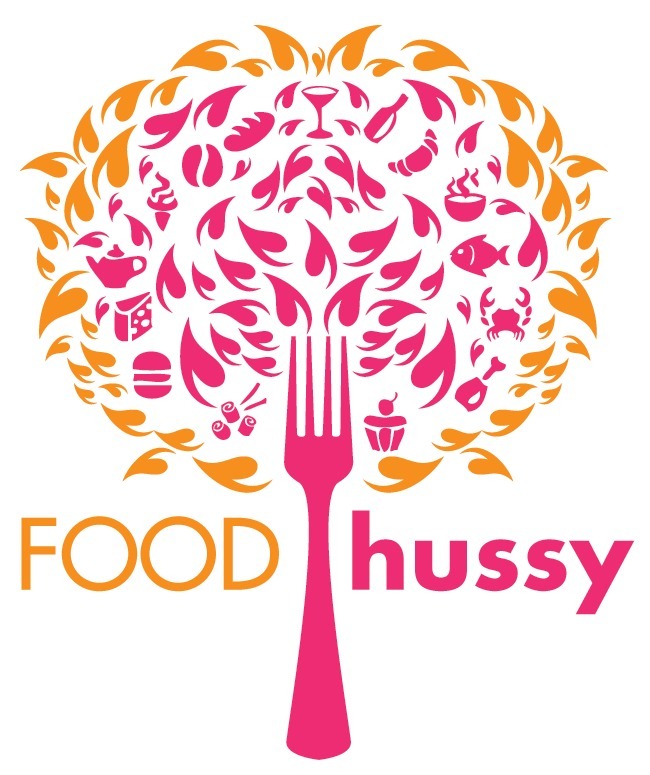 I know some of you do cuz I bumped into a Food Hussy Fan a couple weeks ago! 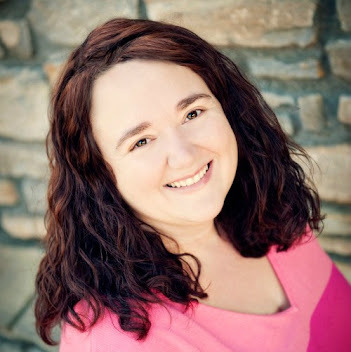 If you are - ping me on Instagram and let me know! 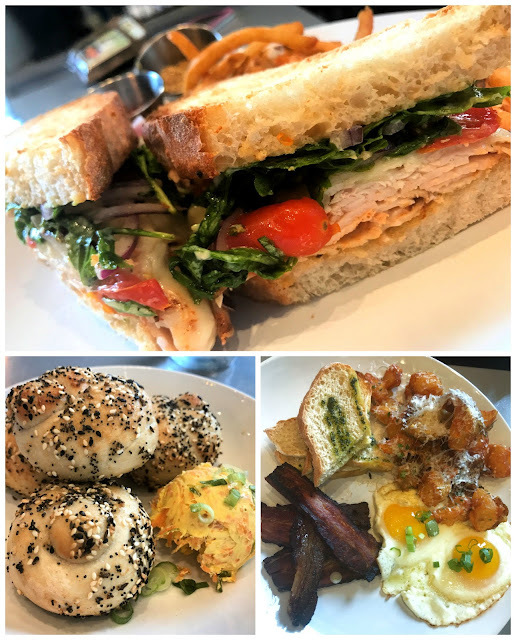 I went with my coworkers and they got a variety of menu items - and I can honestly say - they all had great things to say! - Everything Garlic Knots with Whipped Vegetable Butter ($4) - these were pretty good - love the "everything" seasoning on them - the vegetable butter was a little odd. - Business Special - eggs, toast, anise bacon and crispy potatoes ($12) - very hearty and great for breakfast or lunch! 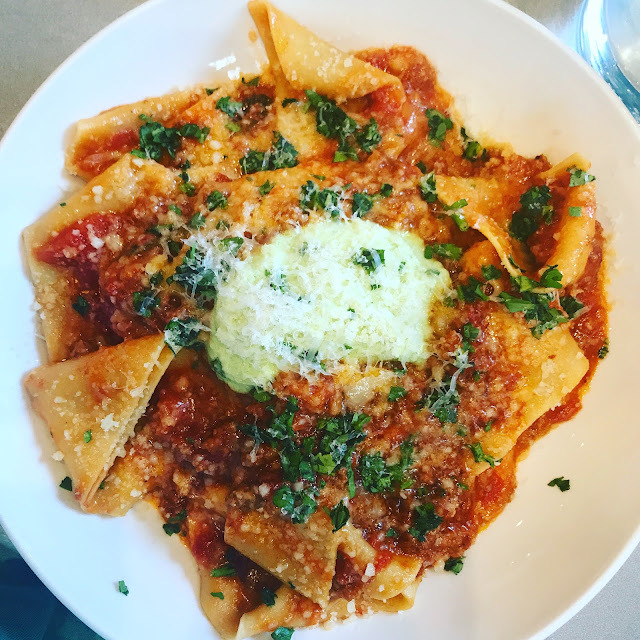 Then we have this...the Pappardelle ($14) - it's fresh, housemade pappardelle pasta topped with bolognese and a ricotta gremolata. Gremolata is made with lemon zest, garlic, parsley and anchovy. Let me tell you - this pasta is soooooo freakin good! I mean first of all - fresh pasta is just a million times better than dried. The bolognese is rich and has the perfect balance of tasting like fresh tomatoes but also you can tell it wasn't thrown together in an hour. Then the ricotta - it's light and fluffy and then has that zip of the gremolata. It's perfection! I have ordered this every. single. time. Now - here's the thing - when I go - I tend to eat that whole order of Pappardelle. Then I quickly enter a food coma like no other. 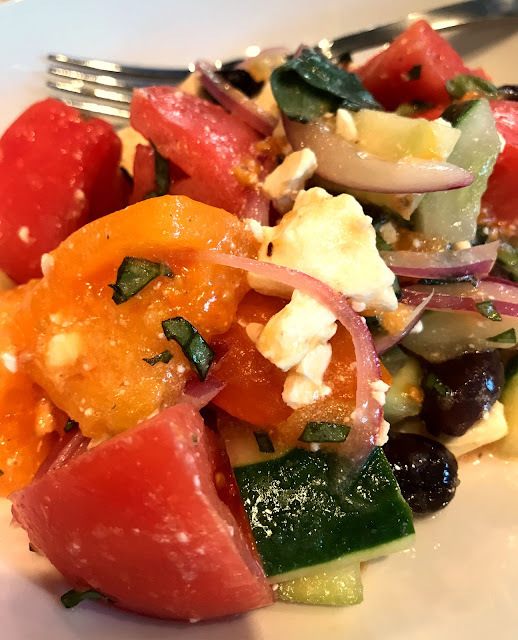 So - the last time I went - I combatted this by ordering the Greek Salad ($12) - then as soon as they arrived - I boxed half of each up. This way I had dinner as well! I just knew half the pasta wouldn't be quite enough and they don't have a side salad on the menu. The Greek salad was perfect - it's light and full of veggies - very tasty! 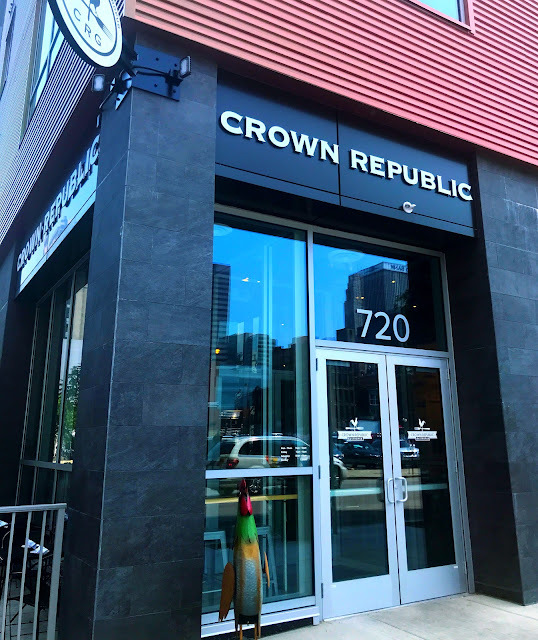 What to Get at Crown Republic Gastropub? The image above says it all. Everything is good - but that pasta is next level. Trust me - don't miss it! It's now in the regular rotation.